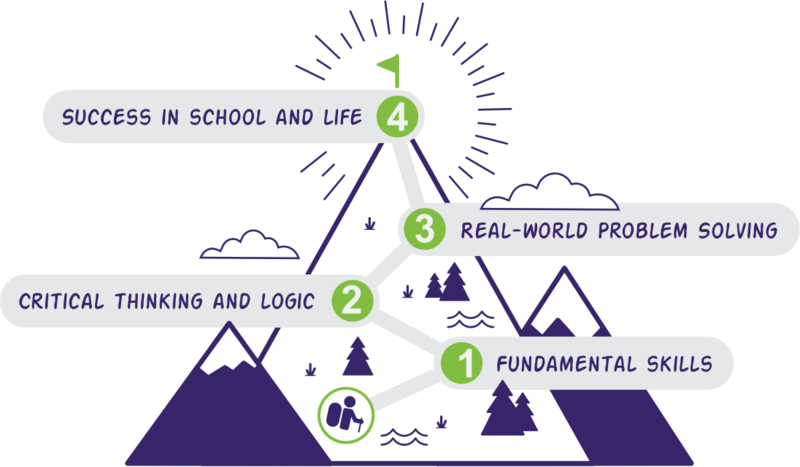 A Grade Ahead’s programs help your child create a lifetime of success! Education is the key to a successful life. The benefits of education are limitless for a child’s future successes. At A Grade Ahead, we have a proven approach to help your child reach his or her goals. Our curriculum increases in difficulty each month as it guides students to fully grasp critical concepts and skills. Your child will receive the individual attention that tutoring students receive but also have the added benefit of classroom interaction. By attending weekly classes and completing our worksheets, your child will have an academic advantage in school and be positioned to excel in life. With teacher and peer interaction, your child will learn a new concept each week and complete a worksheet with teacher assistance. For the rest of the week, your child will have homework to solidify the concepts that were taught in class. Check out our program options below to set your child up for academic success today!